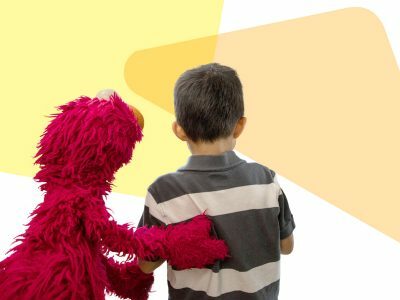 The Big Idea: The more you know about the effect of traumatic experiences, the more help, hope, and healing you can offer to kids and families. Every child responds to trauma differently, but if traumatic experiences remain unaddressed, they have serious long-term effects on children’s well-being. This is especially true when the trauma occurs during early childhood, when kids are forming trusting bonds of attachment, which set the stage for lifelong relationship problems. Traumatic experiences may be one-time events or they may be frequent and repeated—part of a child’s environment, resulting in toxic stress that elevates unhealthy stress levels over time. One in four children experience more than one ACE, and ACEs have been proven to negatively impact brain development, learning and memory, social skills, and mental and physical health. Social and emotional skills: kids and parents being able to manage emotions and share feelings. The single most effective protective factor is the consistent presence of one or more caring adults, therefore parents and other close caregivers ultimately hold the greatest power in their hands. As a provider who cares for families, you can remind parents of this powerful ability to buffer trauma’s negative effects and to help them leverage it. *There are many more types of trauma; this list only includes those that were named in the ACE Study. Go to acestoohigh.com to learn more and find your own ACEs score. “What is Child Traumatic Stress?” The National Child Traumatic Stress Network. http://www.nctsnet.org/sites/default/files/assets/pdfs/what_is_child_traumatic_stress_0.pdf. Felitti, Vincent J, Robert F Anda, Dale Nordenberg, David F Williamson, Alison M Spitz, Valerie Edwards, Mary P Koss, and James S Marks. “Relationship of Childhood Abuse and Household Dysfunction to Many of the Leading Causes of Death in Adults: The Adverse Childhood Experiences (ACE) Study.” American Journal of Preventive Medicine 14, no. 4 (1998): 245–58. “When Things Aren’t Perfect: Caring for Yourself and Your Children.” AAP Trauma Guide. 2014. https://www.aap.org/en-us/Documents/ttb_caring_for_yourself.pdf. “Essentials for Childhood: Steps to Create Safe, Stable, Nurturing Relationships and Environments .” Centers for Disease Control. August 2014. https://www.cdc.gov/violenceprevention/pdf/essentials_for_childhood_framework.pdf. « Back to What Are Traumatic Experiences?